As if last episode's mind-bending advance recording didn't confuse you enough, this episode was recorded a full twelve days ago. That means that we're not even thinking about Christmas or our end-of-year top-10 lists, because this was recorded on the 14th. We manage to have some pretty focused discussion in this episode about PS Home and Christopher Handley, so have a listen. For next episode, we might just be doing a big end-of-year episode with Mitchy, Max, and Karl. Direct Download - RSS Feed - iTunes - Email Us! [0:00:21] We couldn't find a specific topic, so we decided to talk about the latest posts on the blog. This meant that we pretty much just discussed the Playstation Home beta and Christopher Handley's manga obscenity trial. [0:00:42] Evan does the whole introduction thing, then pimps an episode of the Anime Jam Session podcast. Our very own staff member and occasional podcast host Uncle Yo appeared on episode 20 of the AJS podcast, where he performed a bit of his comedy act. Apparently the AJS site is down at the moment, but when it's working again you can find it at this link. [0:01:35] What'cha Been Doing? We've been reading Black Jack, watching Gurren Lagann and Appleseed, and playing Far Cry 2 and Valkyria Chronicles. This segment also contains Battalion Wars and unintentional video game racism. [0:16:55] Break: Clip from Battalion Wars 2 cutscene. Engrish ensues. [0:17:26] Discussion. 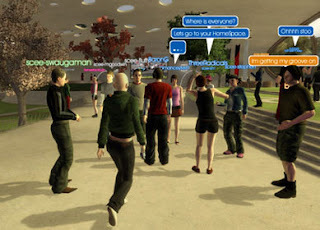 We start with the Playstation Home beta launch, and Mitchy talks about how much he is bored by Home. Then I talk for a few minutes about the viral marketing campaign for F.E.A.R. 2. Next is a long rant about Christopher Handley, manga obscenity, and why the Comic Book Legal Defense Fund needs to change into the Comic Book Legal DEFENSE FORCE. Urgent Message from "Case Man"